In it’s broadest service design concept can consist of a path of everything from physical customer service and infrastructures to websites and even sound surroundings. On the other hand only a single mobile application can be a service that needs a well conducted design. Or an advertisement campaign that requires the consumer to perform an act to gain something. The common nominator for both of the examples and all other services is the unique multi step process that calls for certain kind of interaction thinking, which is something Make Helsinki provides as a company. Our service design usually manifests in web services, applications and marketing communications. In web services such as websites you need to meet the needs of users with solutions that go along with the latest trends but you also need to grasp the ever growing possibilities and requirements of the technology. Mobile apps on the other hand require partly the same UX based understanding like web services, but they do have their own rules and best practices that you need to know to make a good application. The processes of UX design and development are also very vital in achieving a good service. 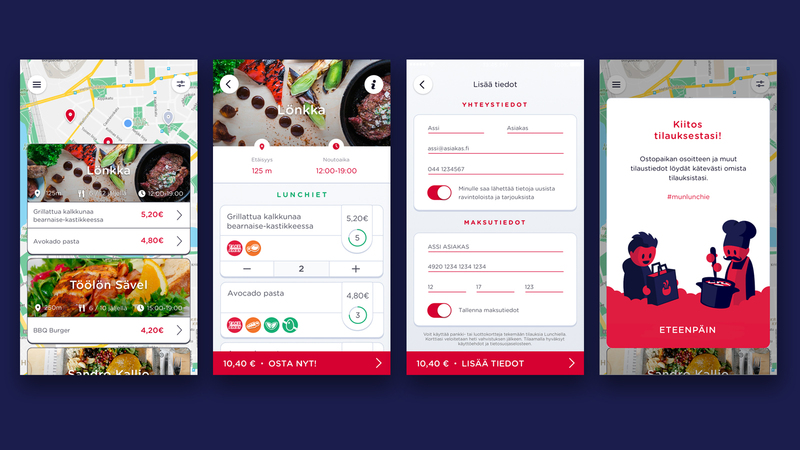 This is something that we here at Make Helsinki have invested in throughout the years evolving those processes based on internal and customer feedback. A good example of a marketing communications project is a year long marketing plan for a product for instance. At it’s core is a message that needs to work in different environments and materials without changing the main communication. The message of course has to fit the product but it must also provide additional value. The goal is to get the consumer – the user – to act, but out of their own free will. One must think of the interaction between the user and the product in the point of sale (e.g. a store or the internet) and also afterwards when they are actually using the product. The list goes on but the most important thing is to be aware of the required vision of the situation as a whole, and the ability to control many smaller moving parts simultaneously, that amount to good quality service design. Service design has of course it’s own history and fundamentals that probably will not change all that much and that’s a good thing. One of the signs of a functional principle is constancy. But especially when working with the ever changing digitalization of today one needs to keep themselves up to date. Continuously. This is something that we like to take seriously here at Make Helsinki. In addition to analyzing our own methods, we gather outside feedback as well. We investigate our field actively and strive to to test out new methods of solving things whenever it’s possible. Even if they wouldn’t change our methods then at least we’d know of them afterwards. We think it’s good to keep questioning things.